In 2007 the Mets signed him out of the Dominican Republic for $100,000. After spending five years in the minor leagues as a starter the Mets moved him to the bullpen to be a reliever after the 2012 season. 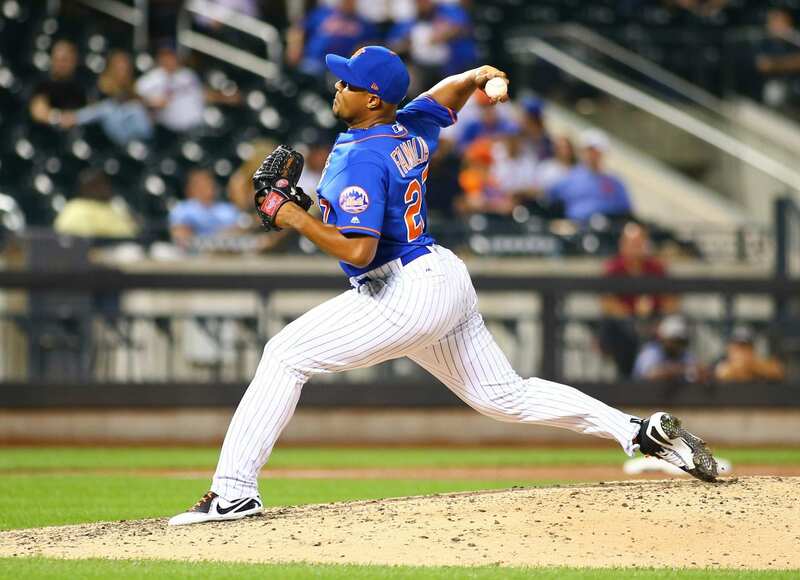 In 2013, Familia had an opportunity with the Mets in April but only pitched in eight games before a bicep injury in his throwing arm sidelined him for all but one game he pitched in September. Familia broke out in 2014 as the Mets set-up man to another starter converted to a reliever in Jenrry Mejia and had a 2.21 ERA. The Mets thought their bullpen was set in 2015 but an opening day injury to Mejia and a suspension led to Familia becoming the Mets closer. He had 43 saves en route to a terrific postseason that led the Mets to the World Series. An Alex Gordon home run and fielding blunders put a damper on his brilliant season in the World Series. Familia was an all-star in 2016 and led the MLB with 51 saves but once again a home run in the Wild Card game against the Giants was a tragic end to his season. In the offseason a domestic violence case led to a 15-game suspension to start the 2017 season and it was beginning to a season where Familia never found his footing. Familia was sidelined with an arterial clot in his right shoulder and underwent surgery to remove the blockage. Familia returned on August 25 and struggled to regain the success he had but finished the season on a good note with three saves and a win to end his season. Manager Mickey Callaway had talked about not having a set closer and pitching the best pitcher at the given situation but all signs point to the closer job being Familia’s to lose. Using the offseason to rest and clear his mind going to Spring Training should allow him to return to the dominant closer he was and if the Mets want to contend he will need to return to his all-star form.